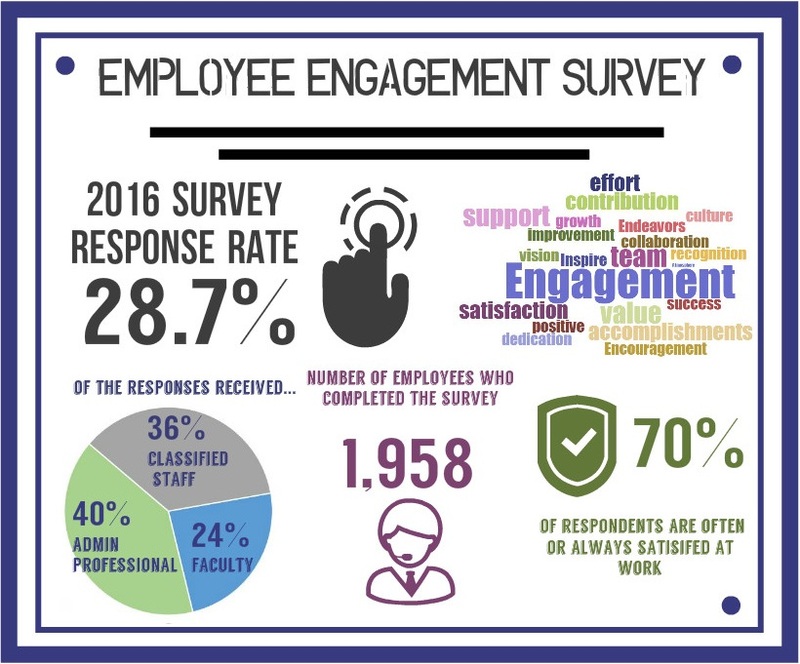 The biennial Employee Engagement Survey was sent on Monday, March 28, 2016 to all active faculty, administrative professional and classified staff. The survey response period was from March 28, 2016 to April 08, 2016. The information gathered from the 2016 survey has been compared to the 2014 survey results. Results can be viewed below.